Recent Survey says that the most of the western software companies use pirated copies including the Microsoft corporation also one of the major user of pirated software in the world.ACTA was drafted to ensure that cheap clone copies of the world’s leading brands are not made by the East and dumped on the west undercutting the local manufacturers investment in their brand.Here is the full topic of Chinese Android is Waking the Dragon can kill the western market of itunes,smartphones & tablet pc. China and Korea are the major manufactures of software and hardware for uses their own people .Chinese mobile phones were developed for the Chinese people in the first instance.The aim was to put a handset into the hands of every person in China.With the average manufacturing price coming out at $15-$20,the Chinese clone handsets were affordable and subscriber numbers boomed.To the extent,where on a worldwide basis,last year(2011),Internet access via Mobile phones exceeded that of dial-up,ADSL and Cable subscribers(broadband). The problem of course only arose when the clones mobiles were offered to the West complete with Windows mobile as the operating system. Microsoft jumped up and down about their software being used for free on the Chinese clones.A year is a lifetime in the technology world.Windows mobile is no longer the OS of choice.On the other hand Google had have abandoned China,but the Chinese think-tanks have certainly not abandoned Google and Android is now available on a whole plethora of new phone offerings from the East with cheapest cost.Traditional phone manufacturers have to be careful how they implement features copied from other phone manufacturers. Intellectual property is ignored largely by these manufacturers who use lawyers to draft the feature list to ensure that no patent claims are lodged.Chinese manufacturers on the other hand have n’t quite bothered with this nicety.They merely take the best of the features of all phones and churn out the new clone.Which,surprise, surprise,surprise,is a clone no longer.Any one can get the facilities with only$25 to $35 such as Want twoor more standby Sims? Analogue TV ? Two earphone jacks for togetherness listening,A real 3”screen,front and back cameras,video and still photography? itunes,tablet pc facilities etc.After all can say all in one. At that price,you could afford to lose half a dozen before equaling the current cost of comparable leading brandname phones. This particular phone runs the Nucleus [pdf file] RTOS OS from Oregon(USA)based Mentor Graphics.Which according to Wikipedia, boasts a Nucleus install base of over 3.6 billion mobile devices,as of mid-February,2012. (Our story on MS-Dos/win-95,XP etc quoted Microsoft as selling only 1,5-2 billion operating systems all up. ).That certainly puts Mentor Graphics in the top three of mobile operating systems. 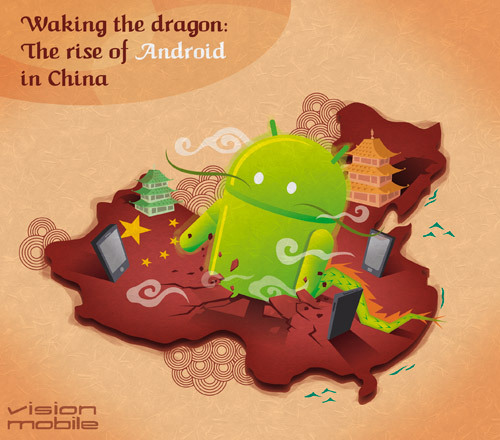 However,we have been informed that Chinese vendors are readying the next generation Odyssey and it[and it's cousins]will all be loaded with Android.According to Comscore in the USA,the most popular phone in February this year was the Blackberry,followed by the iPhone with Android near the bottom but growing fast. American coverage is still spruiking the Blackberry RIM OS.The Blackberry holds the lead because of it’s adoption across the business world.Instant emails,wherever is an important business tool – fifteen years late,but nevertheless,a handy option if your business life depends on rapid communications in writing.However the nextgen phone users may be changing all that,with facebook updates,Tweets, and simple SMS taking over from email as the preferred method of what passes these days as deep and meaningful conversation.Wanna hook-up l8tr does not require the RIM operating system. Twitter and sms have supplanted normal communications and created a windfall for the telecommunication companies.Developers though are choosing sides and whilst application developer’s currently prefer the iPhone OS, unilaterally there is a move towards the Android platform for longer term projects. Major name manufactuers are also following suites. e.Sony Ericsson Xperia series and etc. According to a recent study by British Telecom, Western business is not fully prepared for the imminent impact of emerging markets.While more than six out of ten(64 per cent)directors of large American,British,French and German corporations accept that emerging economies will reshape the global business landscape,many seem to have only a rudimentary knowledge of their business environments.Even though a clear majority(65 per cent) of respondents admit it is crucial their business is able to work with the economies of Brazil,Russia,India,China and South Africa,the so-called BRICS nations to succeed in the long term,many of them demonstrate worrying ignorance of the realities of those countries with Chinese phone factories (preferring the FREE Android operating system) churning out an estimated 600,000 phones per month,it will not be long before there will be two types of non-business related(RIM)phones in the world.iPhones(44% of the population)and everyone else with Android.As iPhone users learn what the Android users can do with their unlocked non-proprietary operating system phones,the iPhone population will decrement accordingly. No doubt China is the biggest market in Asia .Chinese are made the things for themselves with better quality as very cheapest cost . 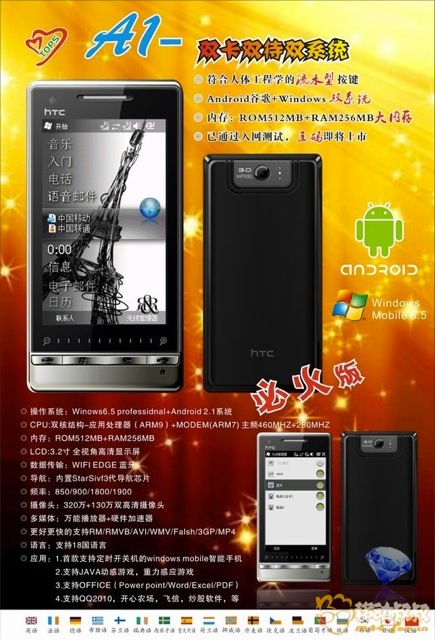 Chinese Android is of high quality and low price. This point is Very attractive to most people.